Audio visual systems are a necessity in today’s business environment. Custom communication and collaboration equipment play an integral role in the town of Chantilly, VA office space. Chantilly is located on the western edge of Fairfax County around the crossroads of Routes 28 and U.S. Route 50. It also is immediately south of Washington Dulles International Airport and the National Air and Space Museum Steven F. Udvar-Hazy Center, which is located on airport property. 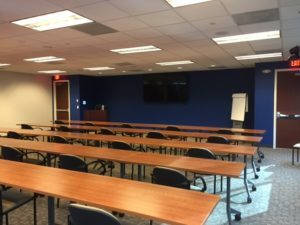 It is the major business center in western Fairfax County with more than 11 million square feet of office space and nearly 9.5 million square feet of industrial/flex space. AVIT Service’ s close proximity to Chantilly gives our clients peace of mind when needs arise. We are the audio visual contractor to call whether you need a design/build project or an important meeting support system check.